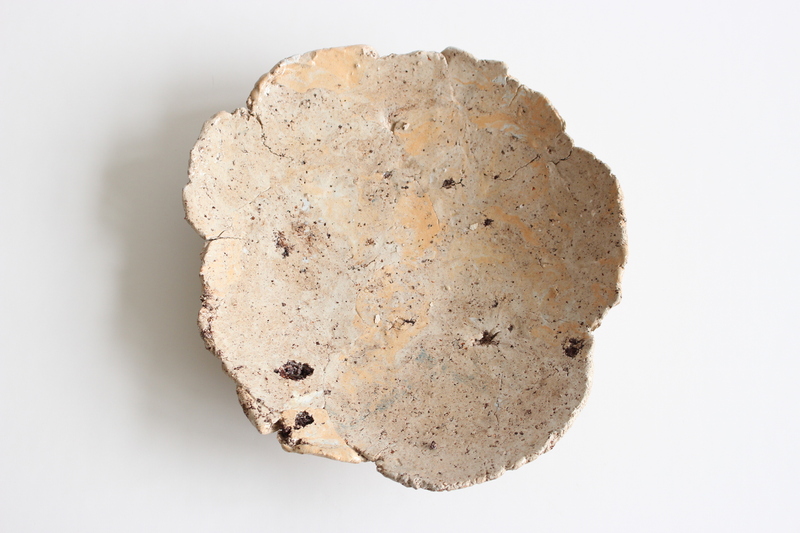 This plate is made of clay, recycled clay, rocks and minerals. 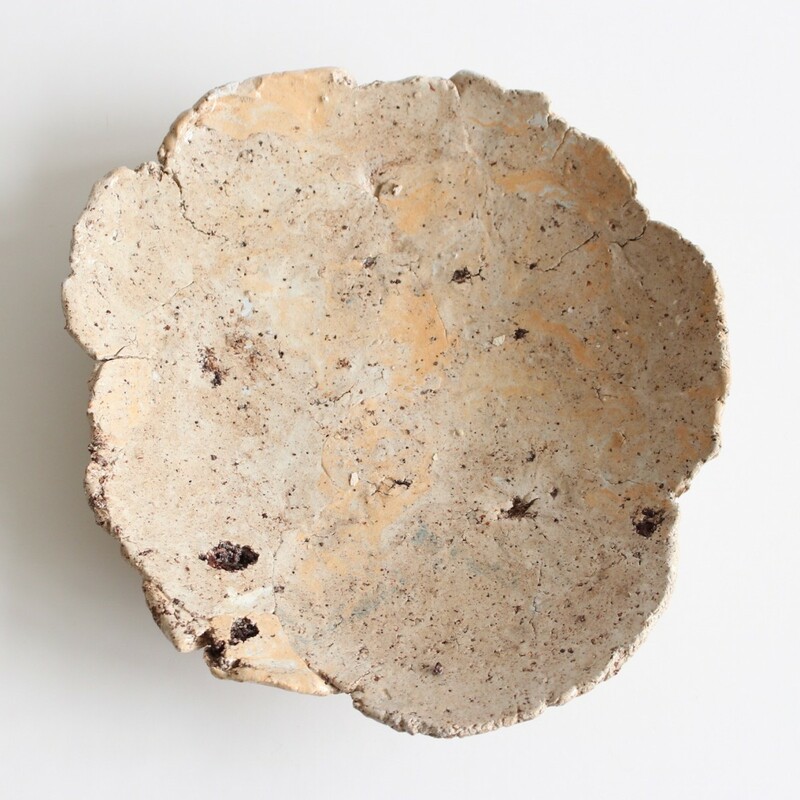 Part of Jessica Hans’ “Foraged” dishware that stems from an interest in the naturally occurring pattern and texture of rock and earth. 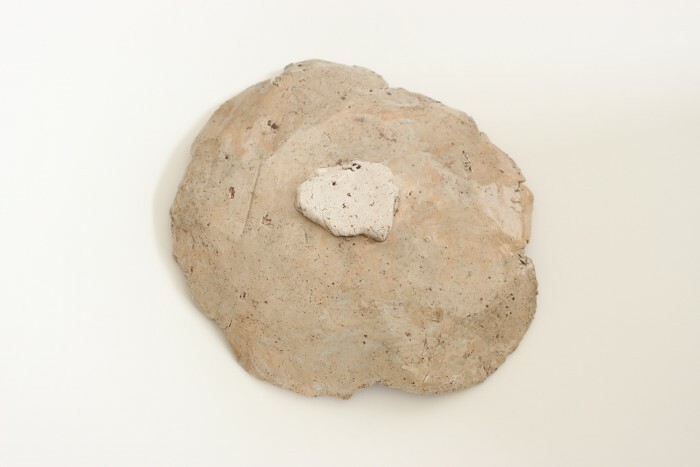 She pulled clay from cliff sites along the Chesapeake Bay in Maryland and a lake in western South Carolina of the USA. 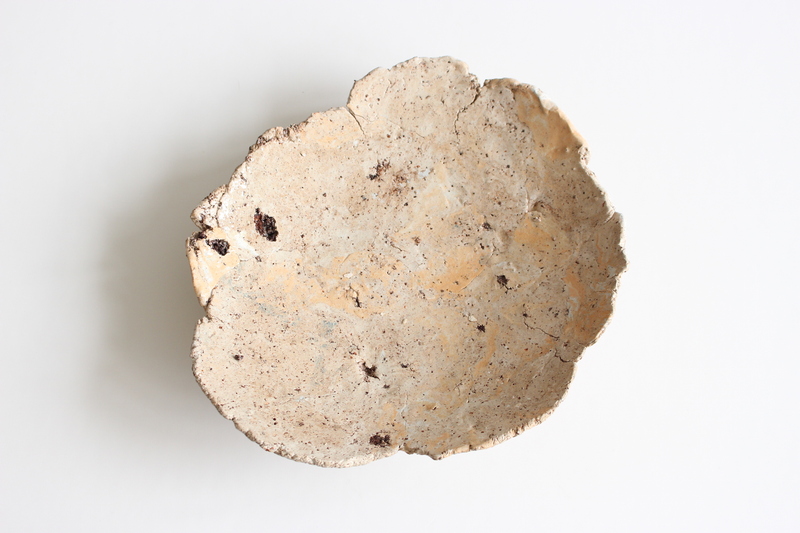 She then combined this foraged material with recycled clay, added rocks and raw materials. By adding rocks and minerals into the clay body and glaze Jessica creates a more visceral experience, as if the objects themselves literally emerged from the earth. Techniques used: crushing, shaping, dusting, firing and glazing.